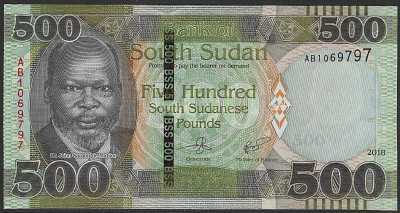 Dr. John Garang de Mabior. Printer: TDLR. 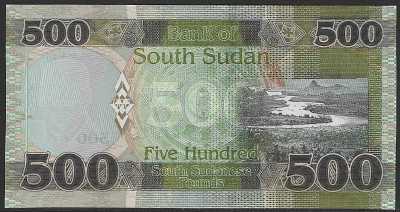 Watermark: Dr. John Garang de Mablor, electrotype 500 & cornerstones. Windowed security thread with demetalized BSS 500.